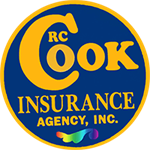 Get your free condo insurance or condo insurance quote from RC Cook Insurance. Call 330-296-3628 for more information. We're located in Ravenna, OH. As a Ravenna condominium owner, you have many benefits but you are also exposed to unique risks. Unlike a single-family homeowner, you have a number of policies in force between your personal insurance and the community insurance. You need to make sure that this insurance overlaps so as not to let risk seep through the seams. Your condo is in a communal setting but your condo insurance needs to be individual or you may be paying too much. Worried about costs. Don't be--Ravenna condo insurance can be very affordable. Ohio Condo insurance is like a suit that needs to be individually tailored: if it's too big then you overpay for what you don't need and if it's too small then you may expose yourself to lawsuits. Ravenna Condo insurance is available at reasonable rates to anyone who owns property in a development with joint property ownership. It is distinct from homeowner insurance because it works in conjunction with your association's insurance policy.